ENJOY a break from the EU Referendum coverage! 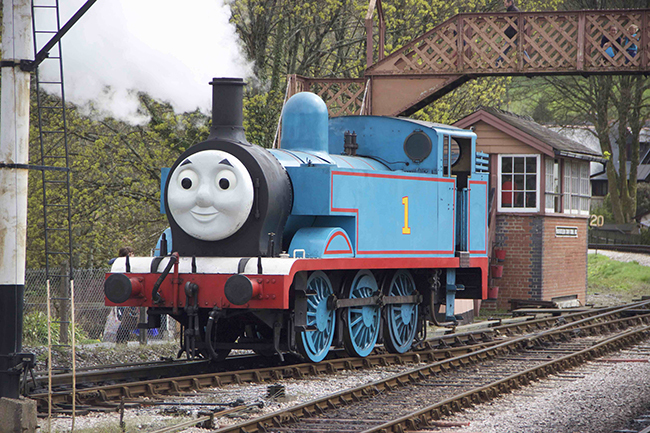 Everybody’s favourite little blue steam engine is visiting the South Devon Railway this coming May Bank Holiday weekend (Saturday 30th April – Mon 2nd May inclusive), and many of his loco friends from the Rev W. Awdry’s timeless children’s books will be there too! 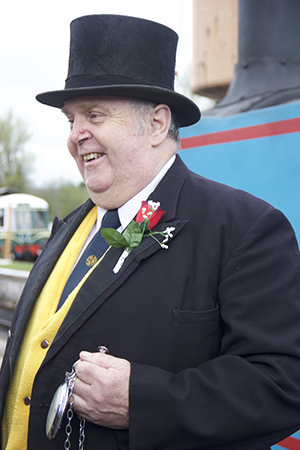 Yes, Thomas the Tank Engine is back at Buckfastleigh and the SDR’s Fat Controller will be on hand too to ensure that everything runs smoothly and on time, including some of the famous story re-enactments such as catching fish in the engine’s water tank, and the hapless Guard missing his train. It’s a wonderful and magical day out for children which bring the classic books to life – and fantastic value too. They will be able to meet Thomas and say hello to the Fat Controller. And there’s lots more happening, like fairground rides and Thomas face painting and there are even lots of chances to ride on ‘Toad’ the brake van. Our great-value, all-inclusive ‘Day Out With Thomas’ ticket also means that children can come and see and cuddle the friendly animals at the Totnes Rare Breeds Farm, visit the ‘Imagination Station’ with Thomas story telling, enjoy the Thomas wooden play railway and Thomas colouring fun, meet the balloon modeller and marvel at the tropical butterflies and meet the otters at Dartmoor Otters & Buckfast Butterflies. In fact, it’s a fabulous and very full day of family fun and always popular. More details are here where advance tickets can be booked or call 01364 644370 for information.